We are proud to provide quality fences in Weatherford, TX and surrounding areas including Brock, Hudson Oaks, and Dicey. We pride ourselves in creating the best, durable and long lasting privacy fences, wrought iron fences, aluminum fences, gates fence repair and more in Weatherford, TX! We also do Commercial Fencing and Gates too! We feel confident in providing you the best fencing near DFW. Our desire is to make sure you are the happy with you're next completed project. Do you want the best privacy fence in Weatherford? We use only the best materials and our quality craftsmanship that will show with your new completed privacy fence. Do you have a fence that needs repaired? Our crews are highly-skilled and offer Fence Repair and Installation in Weatherford, TX. Give us a call today, we are your reliable Fencing Contractor. Are you wanting a fence that will last a lifetime? We offer Wrought Iron Fencing in Weatherford and the surrounding areas to give you an elegant look, while offering years of beauty and reliability. Call us today or fill out the form on this page and one of our experienced fencing estimators will get in touch with you and give you your FREE QUOTE Today! We stand behind our work! 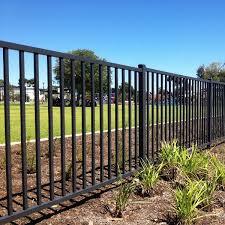 We offer FREE quotes for residential and commercial fencing projects in Weatherford and surrounding areas! Our guarantee is to provide you with best quality fences in Weatherford, Tx. We understand the importance of paying attention to detail, using quality material, having highly skilled crews, and best practices. Our Reputation is built on you! That's why we go the extra-mile for YOU! If you aren't satisfied with the job we have done, then we aren't satisfied either! We will ensure that the job is done right, and to fix any issues in a timely manner. This is our guarantee, but also our promise to you and the way we do business.